During WWII, this ship carried supplies to US troops in the Pacific. After the war ended it transported coal from Newcastle to Sydney. When it was no longer cost-effective to keep it afloat, the ship was brought to Homebush Bay, Sydney, in order to be scrapped but when the prices for scrap metal dropped, it was left to rot. 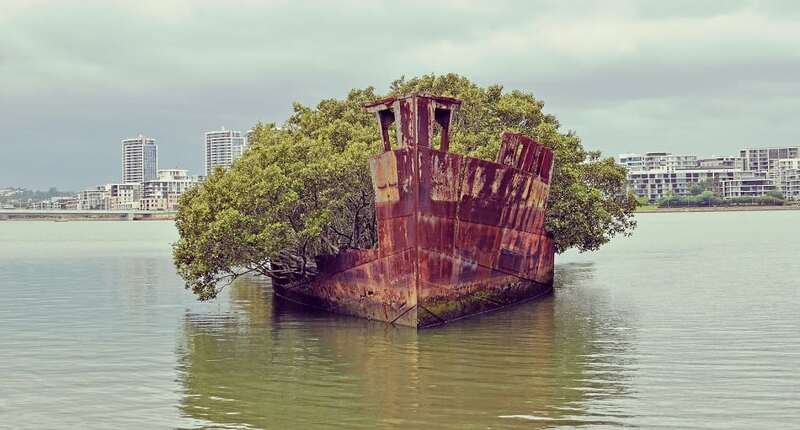 Then, mangrove trees took over the shipwreck.